Connect is a Learning Platform for Higher Education. 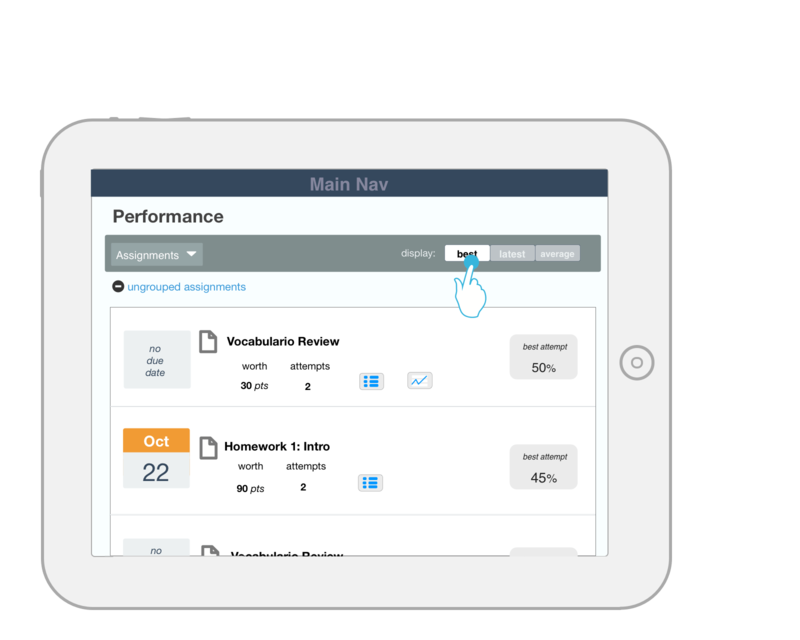 The existing Tablet Student Experience features upcoming assignment notifications, overall course timeline and reporting on completed work as well as trending grades. 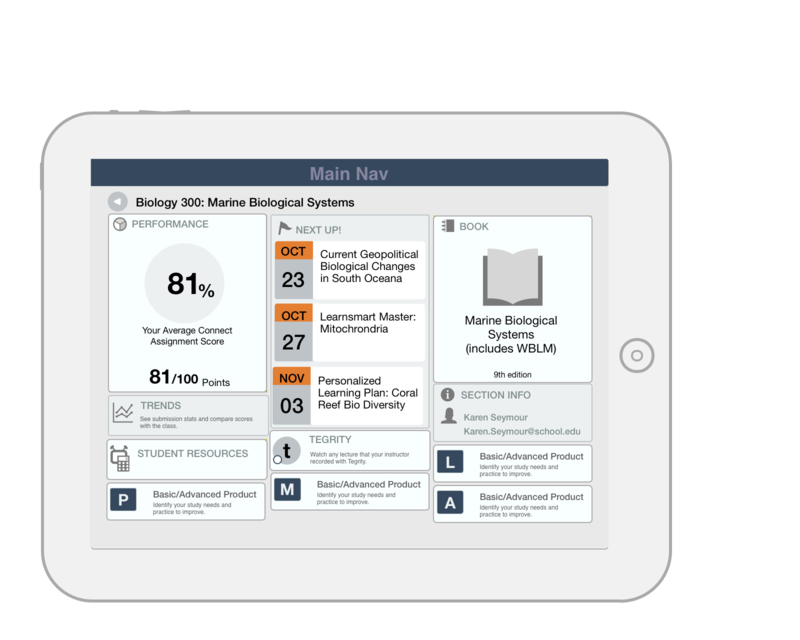 In this project, I modified functionality to integrate with new adaptive learning systems. 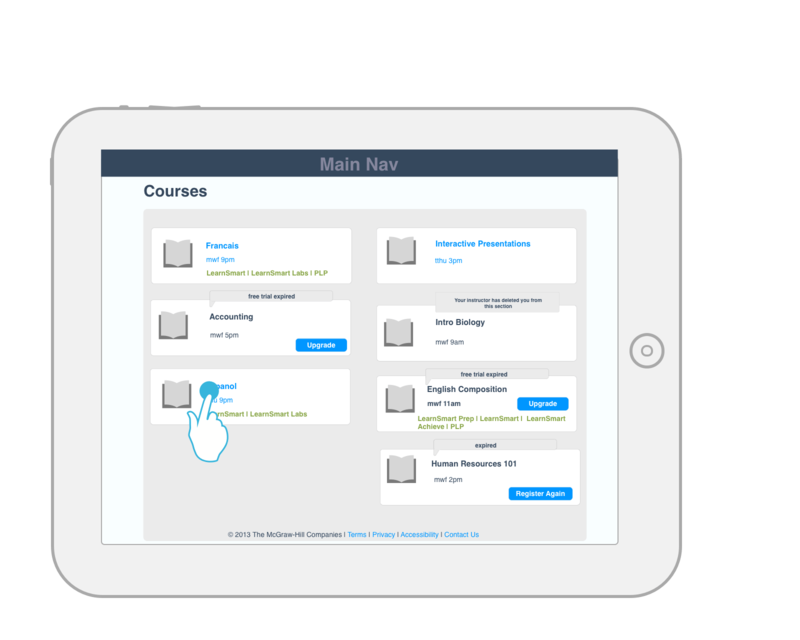 Each class, class status and any additional features the student has purchased is displayed on the Courses Page. 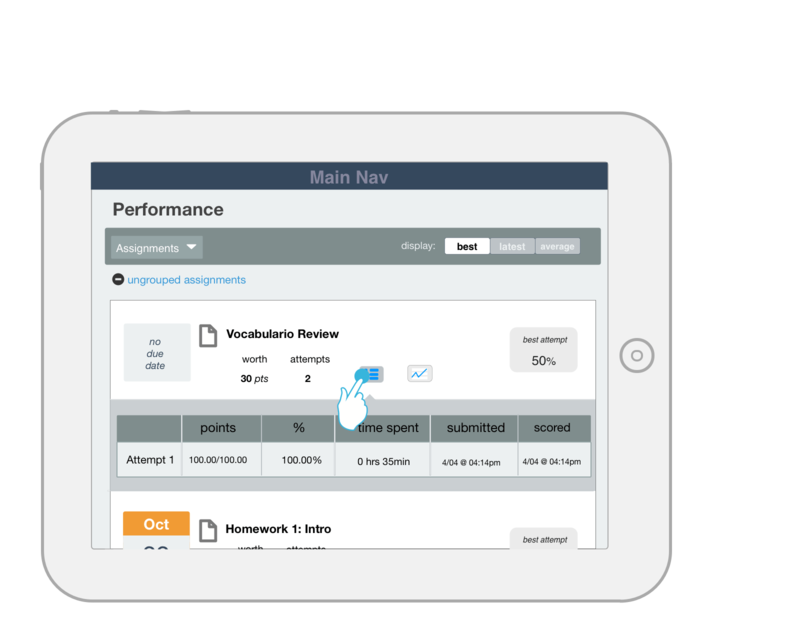 Students can review previous attempts on an assignment.